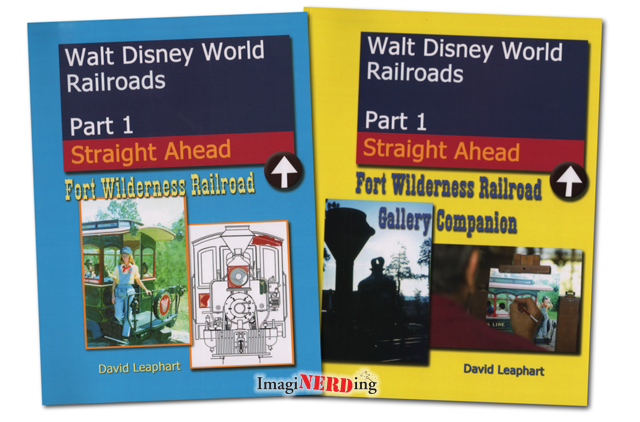 There are a few essential Walt Disney World books. Especially if you’re doing any serious research about Walt Disney World. Or even if you’re the world’s biggest Walt Disney World fan. I’ve been collecting Disney-related books for 30 years and I’ve amassed over a 1000 individual titles in my personal library. 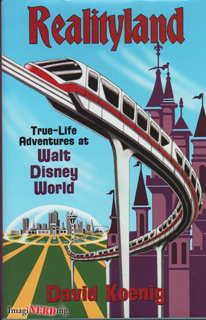 I’ve published a fairly complete Walt Disney World bibliography but I wanted to offer a more concise list of Walt Disney World books that everyone should own. I wax about this book at every opportunity. 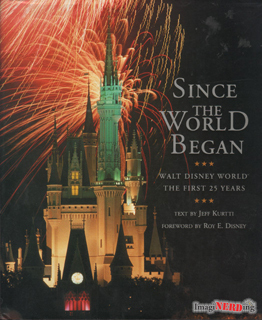 It’s the only official history of Walt Disney World and covers the first 25 years. 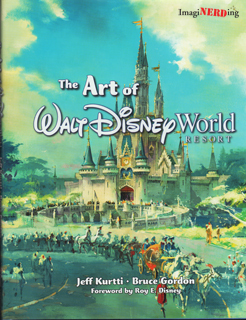 To me, this represents the one book that all Walt Disney World enthusiasts, researchers and fans should own. Jeff’s book takes us on a fantastic overview of the Florida property and he’s able to dispense such a large history into a single volume. There were hopes that Disney would update this title for the 40th Anniversary but there wasn’t an interest from Disney. Let’s hope for a 50th Anniversary edition although this might need to be an independent publication. 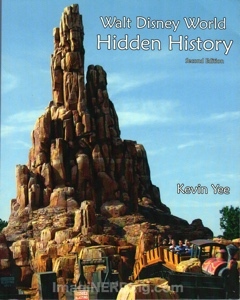 This is a must have for anyone researching Disney. I have all three editions, but the third one (2006) is the preferred title. Dave’s encyclopedia offers short entries detailing the opening, closing and general history of parks, resorts, restaurants and attractions. I’ve run across a few discrepancies in the book, but overall, it’s the go to resource for quick information and for finding out those small details. In case you didn’t know, Dave did start the Walt Disney Archives and is pretty much the de facto authority on Disney history. There is a fourth edition available exclusively from Sam’s Club. This book is pretty indescribable. 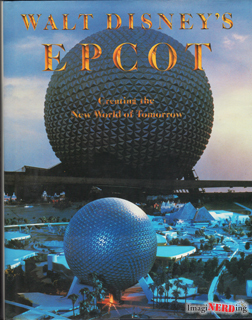 If you love Epcot Center, then you need this book. It’s 240 pages dedicated to Epcot. The concept artwork is incredible and the narrative behind each pavilion is eye-opening. Disney had a hard time explaining the concept of Epcot Center to the world so this book was part of the PR campaign, so to speak. 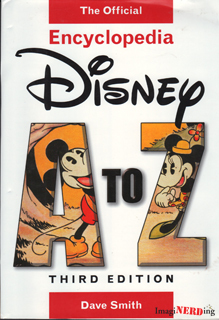 It’s a one-of-a-kind resource; Disney hasn’t published anything like it before and probably never will again. There are at least four different versions of the book, as well (You can read about three of the different editions, here). 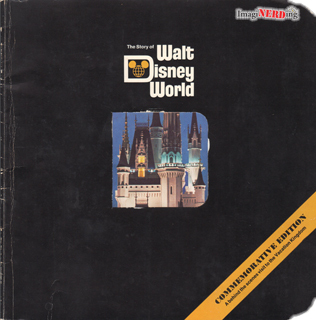 This is one of the more expensive Walt Disney World books, and with good reason. When it was released, it was a theme park exclusive, so it had a limited run and few people picked it up. This book is amazing and offers some of the most incredible artwork anywhere. Jeff looks at each of the artists, as well, and offers insight into the creation of the work. Most of the images center around pre-opening and the 1970s Vacation Kingdom of the World. If you can find it, grab a copy. This is almost a follow-up to Since the World Began, but not quite. It’s a general look at what makes Walt Disney World such a special place. Jeff and Bruce, well known to Disney book fans, offer a look at Walt Disney World through the years, including sections on long gone attractions and what replaced them. It’s a great addition to your collection. This one is geared more to the casual fan but it’s still a fantastic book. This is a sociological treatise on Walt Disney World. Stephen spent a lot of time doing in-park research and offers insight into how Disney looks at Americana and how American society reacts to Disney in a theme park setting. At times the book can be fairly dense but what are the shining jewels of the title, simply, are the attraction walk-throughs from the author. It’s an amazing time capsule of the attractions from 1989-1991 Walt Disney World. As far as insight into these attractions, there’s nothing better. This book has always been one of my favorites. Before the days of digital film and the interwebz, there wasn’t a place where you could spend months on end just looking at photographs of Disney parks. 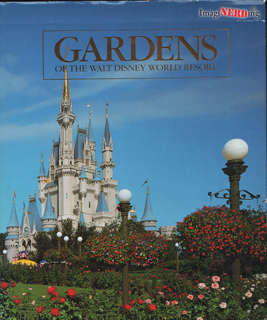 This book offers stunning images of Walt Disney World pre-1988. These full-page (and larger) images showcase the resort and what a vacation was like before the expansion of the Disney Decade. Not a lot of historical information but the photographs do show a lot of areas of the parks that are gone or have changed. I love this book. This official company biography of Roy O. Disney really shares a lot about the creation of Walt Disney World from the perspective of Walt’s older brother. Bob interviewed many company officials and people that were directly involved with building Walt Disney World. 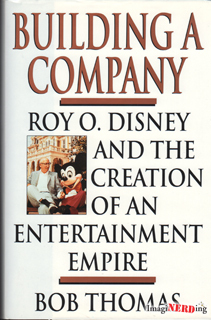 Beyond the Walt Disney World history, it’s a great book about Roy and all of the amazing contributions of the more silent partner of the company. David is well-known in Disney circles. He’s a journalist who’s written a lot about Disneyland (re: Mouse Tales). In Realityland, David looks at the first 20 years of Walt Disney World with the creation of the Vacation Kingdom and Epcot Center. He interviews many cast members from all levels and presents some amazing anecdotes. David is not a fan of Eisner and it’s apparent in this book. Again, it’s a work that seems to stop in the late 1980s leaving us with gaps from the 1990s and 2000s that need to be filled in. It’s a definite for your collection and has a great notes section. A lot of people remember this book fondly and I know that it inspired a few current Imagineers to follow their dreams and work for the company. This is a rare look at the construction of the Vacation Kingdom and offers some amazing photos of the the property, resorts and attractions being built. 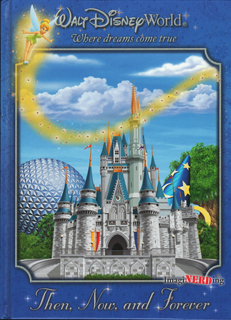 There are two versions (almost identical) that offer different fun-style maps of Walt Disney World. 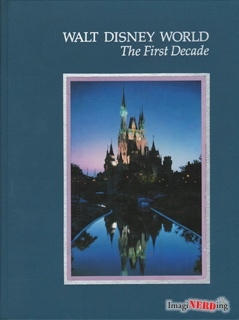 A fascinating book from Disney that covers the first ten years of the Vacation Kingdom. There’s a lot of behind-the-scenes information and some amazing photos of attractions and lands. Unlike the current souvenir guides, Disney shared a lot of more random photos and more information detailing the attractions. 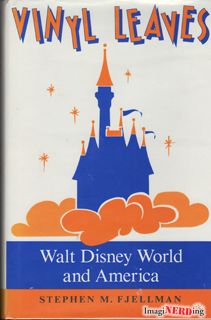 There are also fifteen- and twenty-year titles but the First Decade one is my favorite and offers more information on 1970s Walt Disney World. Epcot fans will want to pick up the fifteen-year title, too. Kevin is one of the more prolific independent authors. Hidden History is a good look at the hidden (or unfamiliar) details at the parks. Kevin also looks at tributes of former attractions that can be found today. It’s a quick and easy read and is sure to increase your nerdy status with all of your friends. Kevin visits Walt Disney World on a weekly basis and this work helps to document a lot of the changes over the years. 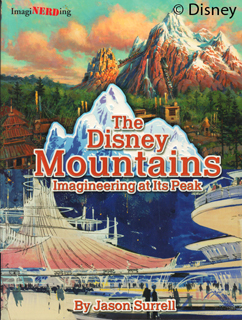 This book covers the nine mountains at Disney parks around the world and focuses on their history and development. Six of the mountains are at Walt Disney World and offer tremendous insight into the attractions and their differences. Lots of great artwork abounds. Jason writes the unparalleled histories of these two vaunted and inspiring theme park attractions. Covering the earliest concept artwork and inklings of the attraction, Jason shares how the attractions evolved and the Imagineers that worked on them. The spectacular feature of the books is the scene-by-scene narrative of the attractions and the differences between the version in each park. Jason covers the films, as well, but they offer little insight into the theme park attractions. Great for fans of the attractions and for researchers wanting more information on the development of the attractions. 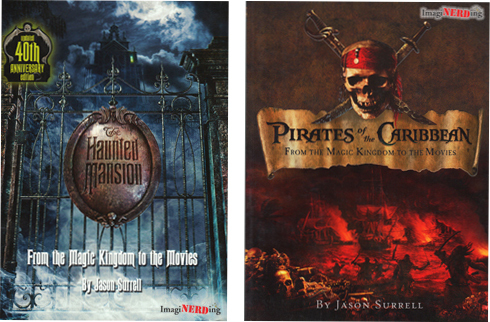 There have been three editions of the Haunted Mansion book. I recommend getting the 2009 and 2015 editions. I’m including this two-volume set by David because it’s an area that not many people have covered, especially not at this level of detail. The amount of photographs (mostly from the 1970s) and the maps that David shares is unprecedented. It’s an expensive set, based on it’s size, but the information presented is fairly unique. Sadly, it’s a LuLu imprint so you have to order it directly from them. If you’re a serious historian, then you need to own it, otherwise it’s a little too expensive. Read my full review, here. There has been an updated version, but I have not had the chance to review them. I could have included at least 20 more titles in this list. To me, these are the most crucial and offer the most information about Walt Disney World. What’s your favorite of the essential Walt Disney World books? Is there just one must-have book?